Join Roberts At The Evanston Green Ball - Roberts Architects LTD Roberts Construction Group, Inc.
Join us at the Evanston Green Ball on May 18. Celebrate and support the Evanston Ecology Center with food, drinks and live music. 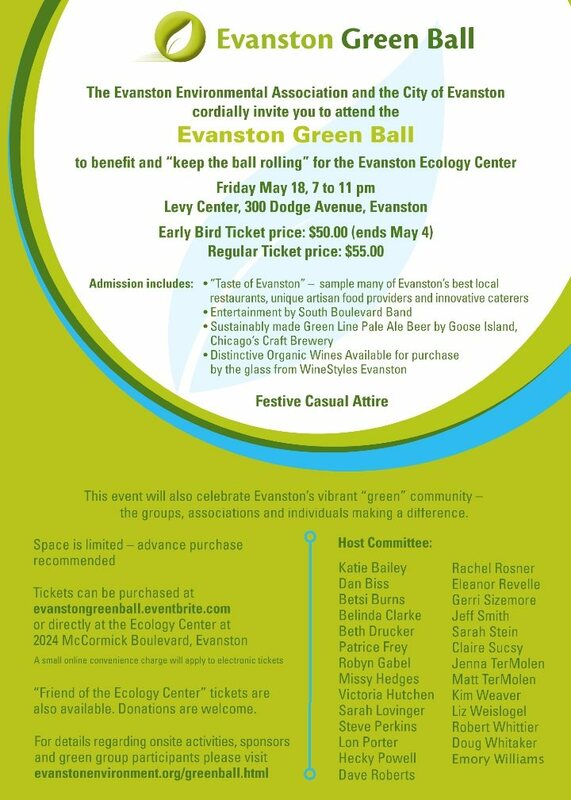 The Evanston Environmental Association and the City of Evanston present the inaugural Evanston Green Ball – a festive evening of food, drinks and live music. Proceeds from the event help sustain the Evanston Ecology Center’s programs. The Ecology Center has been an invaluable community institution dedicated to environmental education for almost 40 years-please help us keep the ball rolling! Get your tickets now. See www.evanstonenvironment.org/greenball.html for details.